We haven't heard from Wayne or Richard, I think it's important with their positions within the society that they do attend. Hi Vic, I don't hold any formal position in UKPS and haven't for several years. I continue to host the site / forum free of charge. I am hoping to attend the AGM, I look forward to catching up with you all and seeing what plans are in store for the society and its future. Will they be anything like this, that would be awesome. Hi Phil, as it's only 3 sleeps away, are you able to do the above yet. To be finalised this evening martyn. I will post straight after the meeting. My apologies for the late nature but we have been adding to it until very recently. 1300-1330 Welcome & Introductions, Chairman's Report, Financial Reports, Introduction of new Volunteers and any other buisiness. We then have the venue until midnight to enable us to talk and eat at leisure. 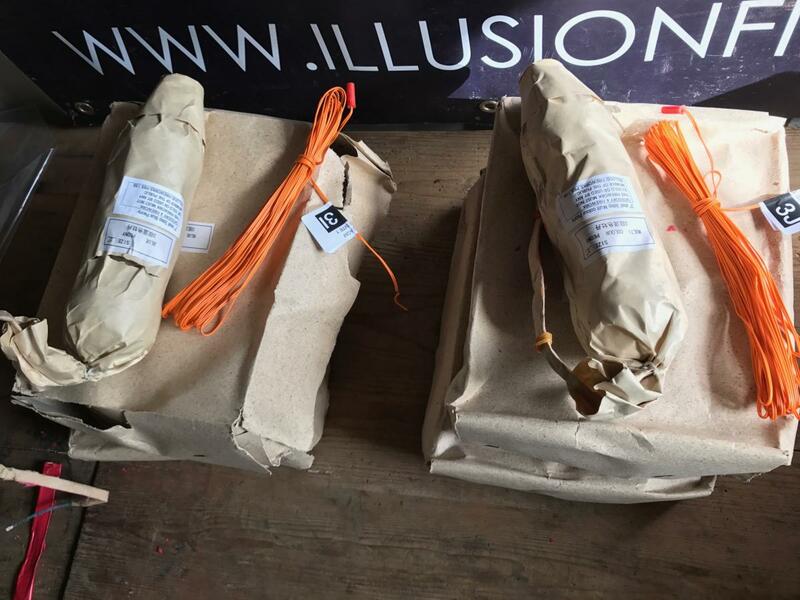 Firework display prepped and packed - see you tomorrow folks! Sadly Vic the triple peanuts are about 12 years old, although colours are superb (they still contain HCB) they break weak (but lift like artillery!). 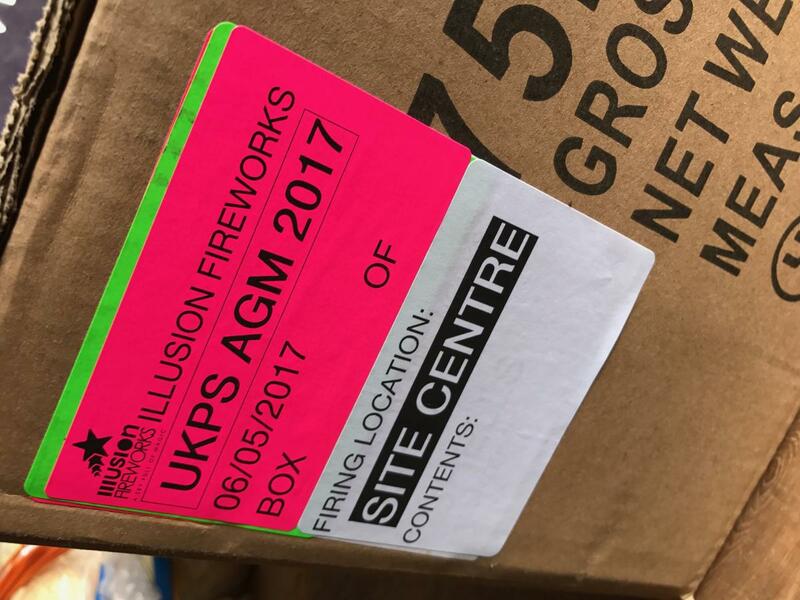 Edited by Illusion Fireworks, 05 May 2017 - 08:56 PM. Awesome cheers Karl, no bar but beer is welcome to be drunk on site. Excellent day. Special mention for Rob L for organizing the food & Karl for a great display. Been pretty despondent about UKPS lately, but this was a great AGM - lots of enthusiasm and great ideas. Hopefully a chance for us to put recent petty squabbles behind us and start building up the society agaiin. Edited by phildunford, 06 May 2017 - 11:47 PM. I can only echo the sentiments of those above, it was a really good day and I also feel that there were some really good ideas for taking the Society forward. It was really good to meet you all and I hope to see you again in the future, not too distant though! The fireworks were awesome! Thanks guys! Great to see the UKPS getting back to what it's all about, some good ideas for the future. Well done to all who organised and participated with particular thanks to Karl for a fabulous firework display, Rob for organising the food and drink and the three speakers Steve, Phil and Richard who kept us informed and entertained.